Two men are talking over fish tacos and gazpacho at a restaurant in Union Station in Washington, D.C., a short walk from the Capitol Building. A meeting of unlikely partners in a high-powered lobbying firm, they’ve put aside their political differences and come together for the benefit of couch potatoes across the land. Bradley Blakeman favors the D.C.-standard blue blazer with gold buttons; his thinning hair and thick glasses give him a scholarly, somewhat patrician look. A Republican attorney who worked on the president’s senior staff during the George W. Bush administration, he later lobbied hard to sell the American public the hawkish strategy of “the surge” as a way of shortening the war in Iraq. In years past, you could have seen Goodfriend and Blakeman in hotly contested debates on MSNBC. Goodfriend was a reliable progressive and Blakeman the solid conservative. In 2007, when they started locking horns on TV, this odd couple perfectly symbolized Washington’s ideological deadlock. Neither man now recalls most of the topics they debated, but each is certain he came out victorious. Blakeman likens the appearances to the Road Runner and Wile E. Coyote cartoons. “No, matter how fiercely we debated a topic, we always remained civil,” he says. But they didn’t exactly grab a drink together afterward. But their rivalry wasn’t strong enough to withstand the unifying power of sport. 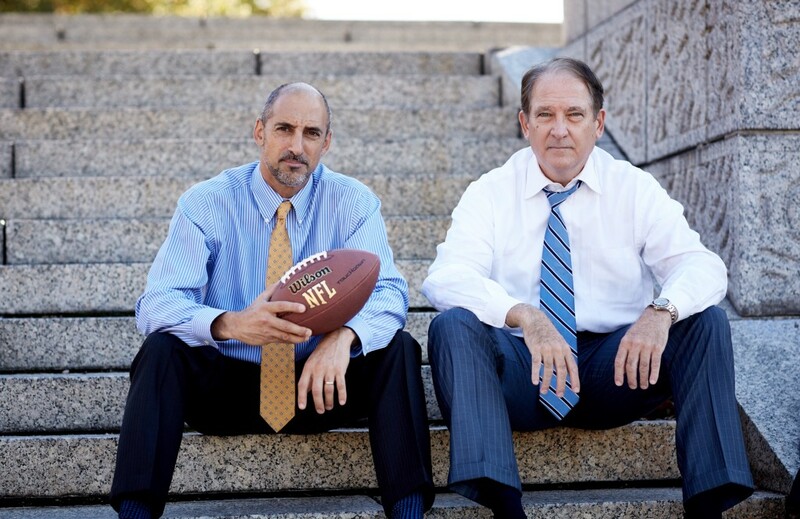 And so, a few years ago, Blakeman and Goodfried teamed up to form the Sports Fan Coalition, a lobbying firm aimed at representing the interests of the average sports fan. The Coalition boasts more than 50,000 individual sports fans as donors, and Blakeman does the work pro bono. (Goodfried draws a salary from it, however.) At the same time, the Coalition reps a few big business interests, too — telecom giants Dish Network and Verizon are among the Coalition’s largest donors, as is Enterprise (publicly funded stadiums are often paid for with increases in the rental car tax). These men are lobbyists after all; as much as they’d like to market the Coalition as an act of pure benevolence, they’re ultimately in the business of championing special interests. Sports fans and cable companies make for strange bedfellows — the former often feels gouged by the latter — but the Coalition was able to identify issues wherein corporate interests aligned neatly with those of the sports-viewing public. Thanks to the Coalition’s efforts, NFL fans no longer have to worry about “blackouts,” for instance. Prior to the 2015 season, fans were barred from watching their hometown team on TV if the team failed to sell at least 85 percent of tickets (the league threshold for a “sellout”—a few years earlier, it was a full 100 percent of tickets that needed to be sold). Goodfriend, whose background was in telecommunications, thought this policy was outrageous, and in 2008 starting circulating a PowerPoint campaigning against it. “Some big cable companies and sports leagues got their hands on it and mounted a campaign to kill us,” Goodfriend says. “I was like, now why would a solo practitioner lobbyist just sort of floating a PowerPoint elicit that?” So he put together a board, which included Blakeman, and created Sports Fans Coalition. As a result, hometown fans can now follow their beloved teams on TV no matter what. Politics aside, Blakeman and Goodfriend still make for an odd alliance. Goodfriend, 47, grew up Jewish in Wisconsin, where, he says, he “lived with a single father, was darker and louder than everybody else and just stuck out like a sore thumb.” His team, the Green Bay Packers, was the only publicly owned team in the NFL. As such, shareholder meetings were held at Lambeau Field — a bit of Midwestern populism that appealed to the imagination of the burgeoning progressive. After finishing college at Beloit, a liberal arts school in Wisconsin, Goodfriend came to Washington to work for liberal Democrat Sen. Charles Rangel and ended up attending Georgetown Law. When he left Dish to go into business for himself, Goodfriend wanted to find a way to “work for the little guy.” He figured that sports would be a perfect way in. While Goodfriend might not be the most gung-ho sports fan, his son Ben, a middle school football player, was a Packers fanatic. Goodfriend and his son never missed a Packers game on television because they weren’t in a local market, but it seemed absurd to Goodfriend that a kid in Green Bay or Milwaukee might not get to watch the game if not enough people bought tickets to go see the game at a stadium, which, in many cases, is publicly funded. First passed by the NFL in 1973, the local sports blackout rule prohibited television, cable and satellite networks from airing games that weren’t sold out in their local markets. 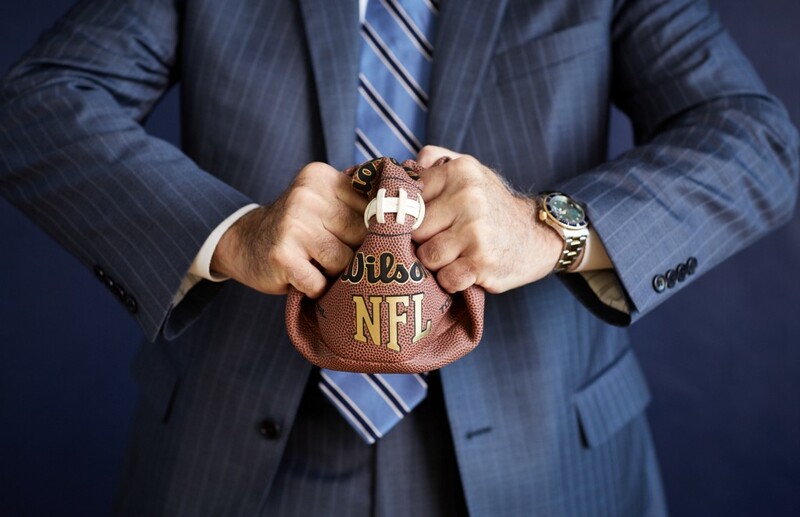 While the NFL televises a larger percentage of its games than any other professional sports league, the rule, in effect, allowed the league to hold a city hostage: Buy the tickets, or no one sees the game. For Goodfriend, the blackout rule, which was supported by the FCC, stood as a symbol of “the manipulation of the sports marketplace through government subsidization of anti-fan behavior” — especially in a world where taxpayers regularly foot the bill for multi-million dollar stadiums. Or, in other words: The rich guys were screwing the fans, whose hard-earned dollars and fervent devotion are the lifeblood of the game. As a longtime political operative, Goodfriend knew he couldn’t accomplish anything without a coalition. Thinking that sports would bridge the ideological divide, he came up with the idea of partnering with his nemesis and MSNBC sparring partner Blakeman. Blakeman, 58, grew up a Yankees fan in Long Island. He attended his first game when he was 7. He still remembers sitting in the stands at Yankee Stadium in the Bronx and imagining Babe Ruth playing on the same diamond. In 2007, Blakeman became the president of Freedom Watch, a conservative group formed, in part, as a response to the populous Moveon.org movement. Partially funded by conservative billionaire Sheldon Adelson, the group popularized the notion of the military surge as a policy for ending the Iraq War. They also created ads that promoted a link between Iraq and 9/11, despite the fact that evidence had already shown no connection. 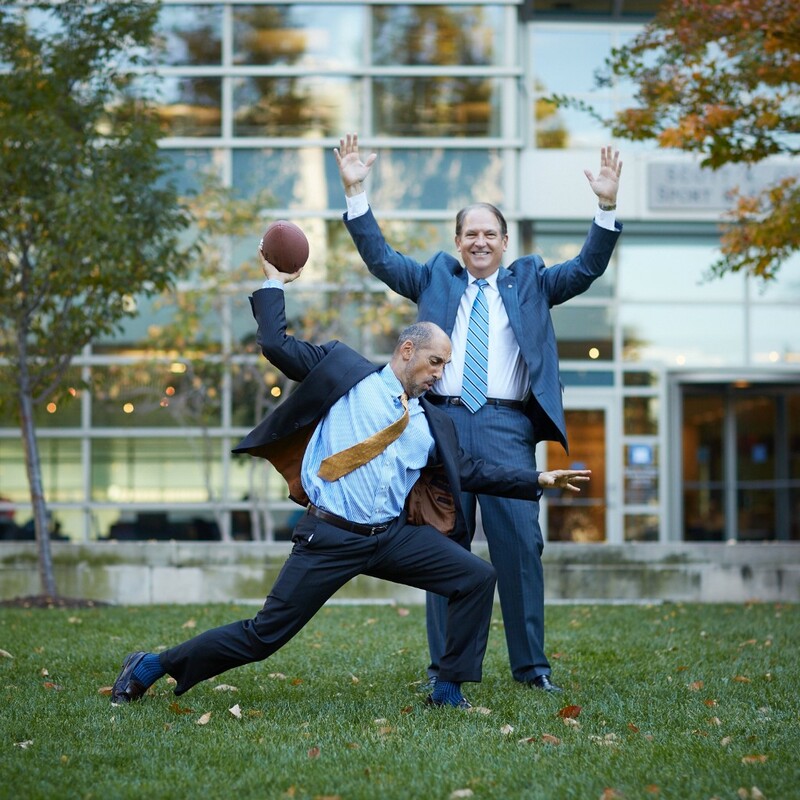 Though their battles on television were full of rhetorical fireworks, Goodfriend and Blakeman found they were both on the same side when it came to the NFL. “We found common ground with the sports blackout rule and expanded it to include the funding of stadiums using taxpayer money, ticket pricing, what’s going on with the injuries in the NFL, the not-for-profit status of sports leagues and all the exemptions that they get,” Blakeman says. As Goodfriend and Blakeman saw it, the sports leagues represent the interests of the ultra-rich owners. The players union spoke for the players. But who was working for the sports fan? Together Goodfriend and Blakeman recruited the support of Arizona Republican Sen. John McCain and Connecticut Democratic Sen. Richard Blumenthal who both advocated hard to change the blackout rule. 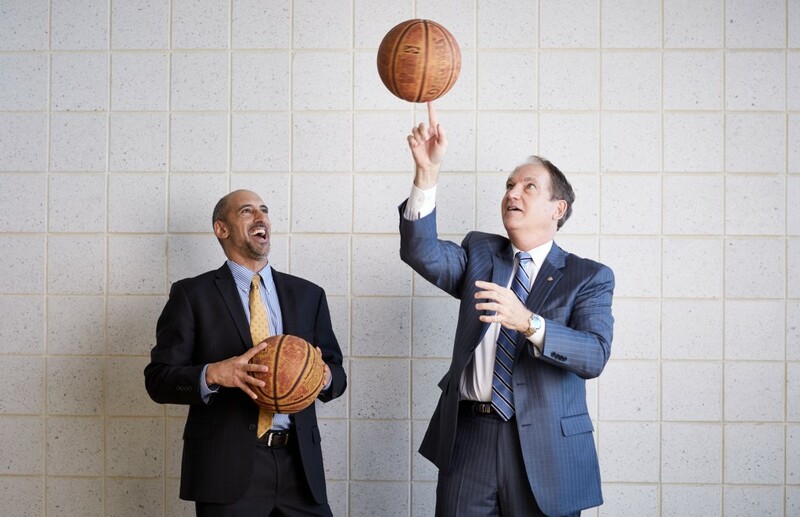 They were supported by an army of what Goodfriend calls “sports nerds turned law nerds” and sports-fan economists, who examined the economics and the legal foundations of the rule. Back at the restaurant, preparing to meet with one of 1600 Group’s clients, Goodfriend and Blakeman’s discussion drifts back to sports. The question on the table: Their next target. “That’s great!” says Blakeman, enthused. Right now, the NFL only allows for the occasional broadcast — usually Thanksgiving and the Super Bowl when the photo ops are great for PR. Blakeman nods. That is the angle — or at least one of them — that this odd alliance will use in their quest to make sports more democratic.